Call me a fool, but a good set of heavy-duty bolt cutters is an instant testosterone injection. 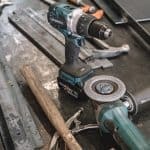 After picking up a hand tool that is capable of crushing through steel bars with minimum effort you can’t help but want to unleash that destructive force at any given opportunity. Furthermore, there is that underlying thought that no padlock is safe. 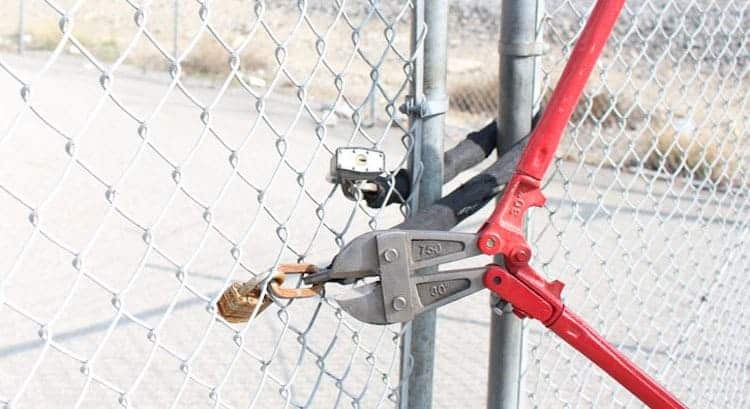 Not that I am one for breaking and entering, but the simple fact that a quality pair of bolt cutters will make short work of a locked gate, well, the concept is empowering whether you act on it or not. Anyway, I am getting carried away. 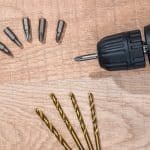 This article has nothing to do with the potential criminal uses of bolt cutters – it is a simple guide setting out how to use bolt cutters the correct way. Why Own a Pair of Bolt Cutters? 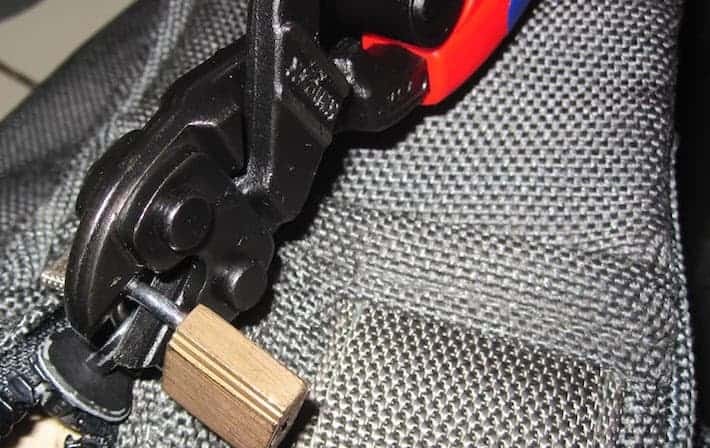 In our top 5 best bolt cutters review article, we went into detail on the different types of bolt cutter and why you should own a pair. We will cover this briefly here. 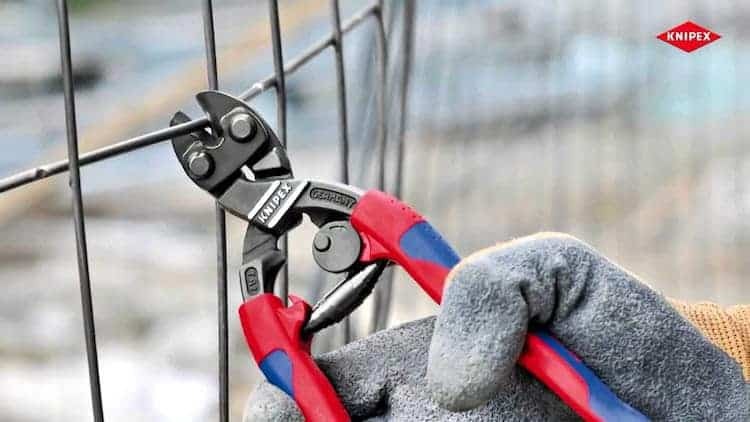 Bolt cutters are ideal portable hand tools that are useful for cutting locks, chains, fences and bolts. Around the home there are many uses for bolt cutters. They are tough tools that will work in any situation a small section of (usually cylindrical) metal needs to be cut. 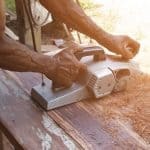 Cutters come in varying sizes ranging from 8 inches to 42 inches in length. Build quality does vary with different steels being used for the cutting head. Handle materials also vary. 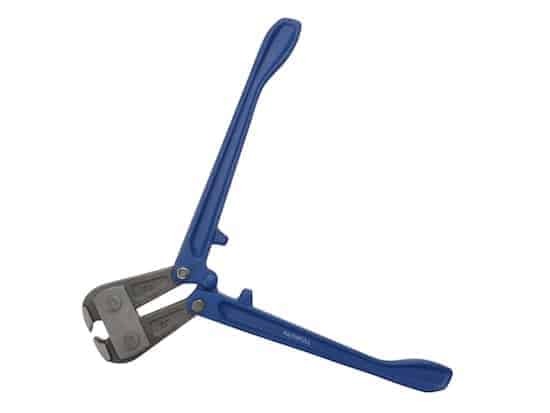 (Read our Bolt Cutters buyer’s guide to find out more). Well that’s the basics of bolt cutters out the way, now it’s time to learn how to use a pair. 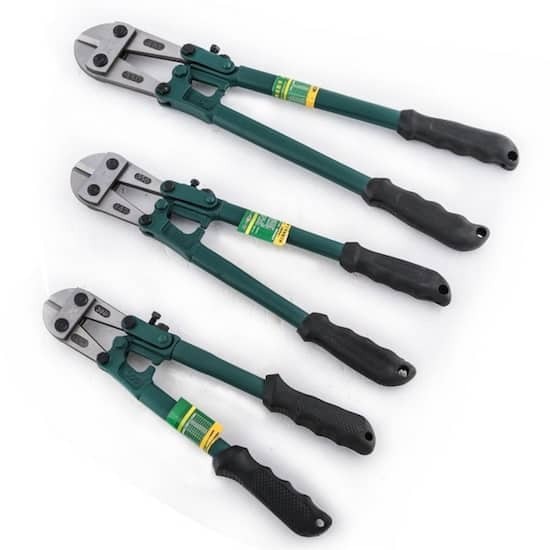 Most bolt cutters will come with an adjustment bolt built into the cutting head. Before operating the tool you should turn this in order to set the correct tension on the blades. This will allow you to get the desired tension that suits your own operational comfort and the hardness of the material you are cutting. For clean cuts in the right location, you should always mark up the material first. 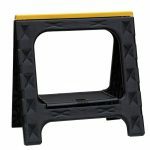 A small but clear marking line or even dot is all you should need. 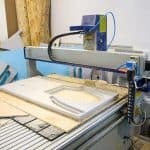 If possible you should also clamp the material that needs cutting. At the very least it should be in a fixed position. 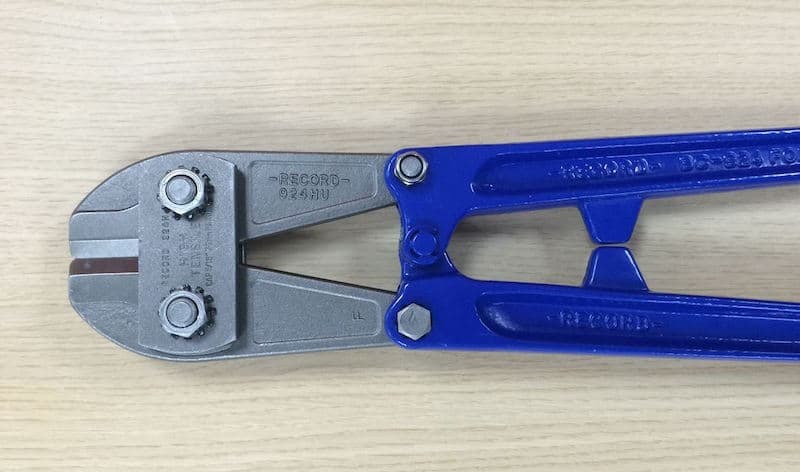 The cutter head and blades are opened by pulling apart the handles of the bolt cutter. You should have the cutter blades as far apart as possible before you begin. Then, manoeuvre the cutter head so that the target is positioned in the centre of the blades. With the target in the centre of the blades it is now important that you position the material as close to the handle intersection as possible. Once the blades are closed, this is the point at which the cut will begin. It will also be the area that provides the most force. Now all you need to do is close the handles to make the cut. Close the bolt cutters slowly and with a firm grip. If your grip is loose, the cutters could slip on the material and pierce the metal away from your target. 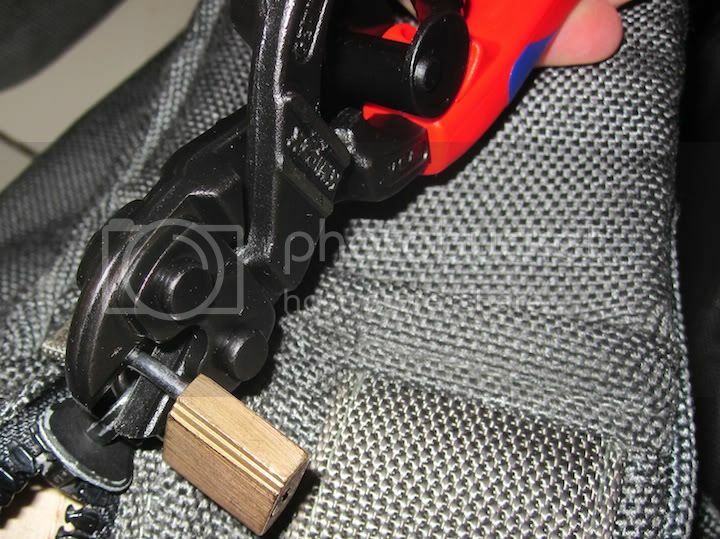 Once the material has been pierced it is now time to follow through with the cut, (the term crush is actually more apt as this is what most bolt cutters do). After initial contact has been made between the blades and the material, make sure you sustain the cutting pressure at the same spot. In some instances on tougher materials it will be necessary to open up the cutting head and repeat the action. Make sure you hit the same spot on the follow up cut.